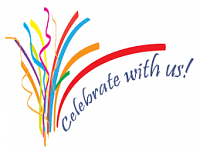 It is with great pleasure that we invite you to Disability Sheffield’s Celebration Event at the Virgin Lounge on Thursday 6th December from 4 – 6pm, marking 10 years of our advocacy and information service. 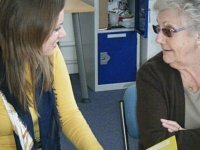 Over the years, our service has supported disabled people living in Sheffield by providing information and advocacy support on a range of issues, enabling them to live their own lives. Vital cancer support is now easy to come by for Sheffield shoppers, thanks to a multi-charity information hub at the Moor Markets. The pop up stall is at units 56 and 58 from 10am to 4pm, Monday to Friday for the next couple of months. Scope’s online community is a place where disabled people, parents, carers and professionals can come to share their experiences and discuss all topics relating to disability. Can you help by offering to take part and give your views to shape the future of stroke care? Sheffield City Council are reviewing their resources and services and this is your chance to let them know how you want to access information and advice, when you need it . The closing date for the survey is 25 November.